The Art of Naming: The True Top 50 Names - Very Important for Expecting Parents! The True Top 50 Names - Very Important for Expecting Parents! This amazingly informative list was originally put together by Kelli at NameFreak! I cannot take the credit, but I had to share. I think it is very important that expecting parents have access to this sort of thing. She called it the "Playground Analysis," which is a great way to describe it! When you are out and about and you hear a child's name, you have no idea how it is spelled. Let's say you are currently pregnant with your first boy and you are in love with the name Jackson. It honors your husband, your husband's father and grandfather, your late brother Jack, and it is your mother's maiden name too. It seems perfect!! But popularity does concern you. According to the SSA's Top 1000 chart, Jackson ranks at #22. That is a bit too high for your usual liking, but Jackson is so perfect for your family that you commit to using it anyway and announce it to your family and friends! However, you're on the playground one day with your three year old and you start noticing many children named Jackson. Suddenly, Jackson is everywhere and it really bothers you. "But it's only at #22, it can't be that bad. It must be a coincidence, right?" Well, there is more to it than that. When you combine all of the different spellings, Jackson, Jaxon, Jaxson and Jaxen, your absolute favorite name in the world isn't ranked at the tolerable #22, it is actually ranked as the #2 most popular name in the US! What now? Do you go ahead with it anyway? This is the type of thing that I think is super important for parents to know! 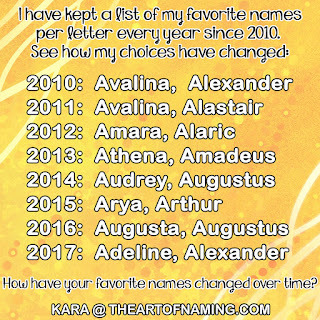 The SSA only accounts for popularity by individual spelling, but in a world of "unique spellings" (read: misspellings), you cannot be sure how popular your favorite names really are. Take Aiden, for instance. The SSA has it ranked at #10 but with all the different spellings, it is truly the most popular name in the country! Would that make you think twice about naming your son Aiden? Some people are not concerned with popularity and would rather have their child fit in as one of 7 Aidens in a classroom than stand out with an odd name. However, others are horrified by the thought! No matter where you fall with your concern, here is a list that compiles all the spellings together. Some names to make a note of are Aiden, Jackson, Kayden, Caleb, Brayden, Nicholas, Cameron, Connor, Dominic and Colton. I apologize if I make you completely reassess your name list because of this. This is the truest Top 50 that you can possibly find according to 2012 records. The listed name is the SSA's spelling. The number in parenthesis is the SSA's ranking, followed by all the possible variations that alter the stats. Remember, these are listed by combining all the options together and re-ranking them. What do you think? Did I just break your heart or does it not bother you at all? Let me know! Max: 3,663 born in 2012. Add that up, you get 11,483 "Maxs" born in 2012. To fit it into the list, I figured out how many births there were in 2012 for each name until I found the right range. So if Max was used as the nickname for all of the names listed above, Max would be the #29 most popular name since you don't know if they are JUST Max or if they're a Maximiliano. However, there are many other nicknames that would affect this ranking if they were also added in. (Think of all the Maddy's and Ellie's there are!) This new info isn't concrete but based solely on the criteria above. Perhaps I'll make a "Popular Nicknames List!" You're welcome!! And Wow! That is an impressive list! I wonder if you have access to the boy list as well?